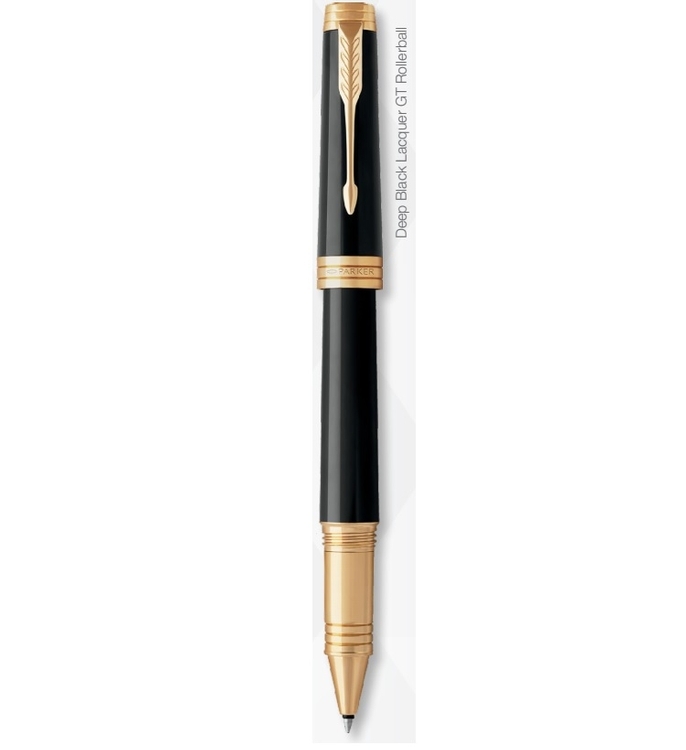 Parker Premier showcases the Parker brand's unique stule, built on precious materials and expert craftsmanship. 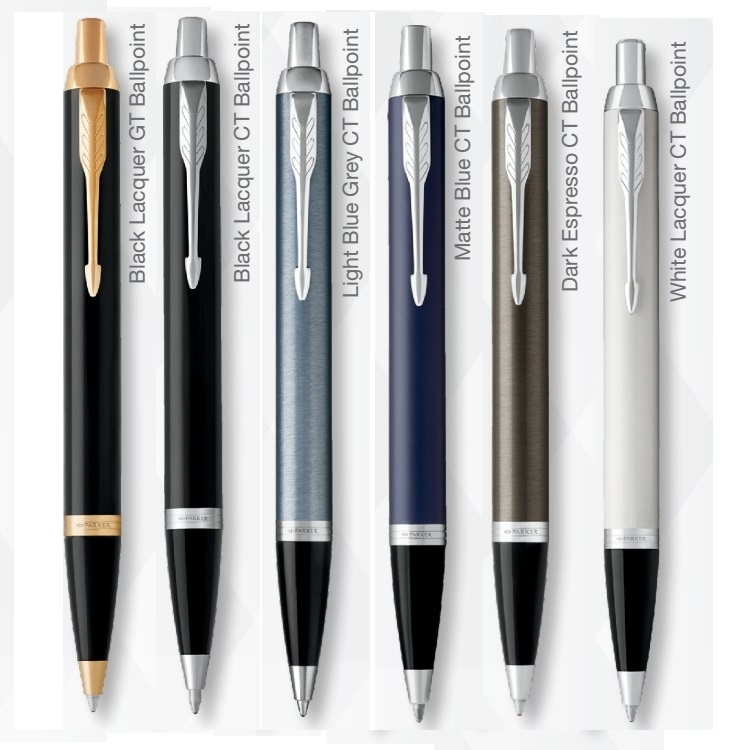 Each pen features a bold shape accented by rich lacquer finishes and precious metal trims. 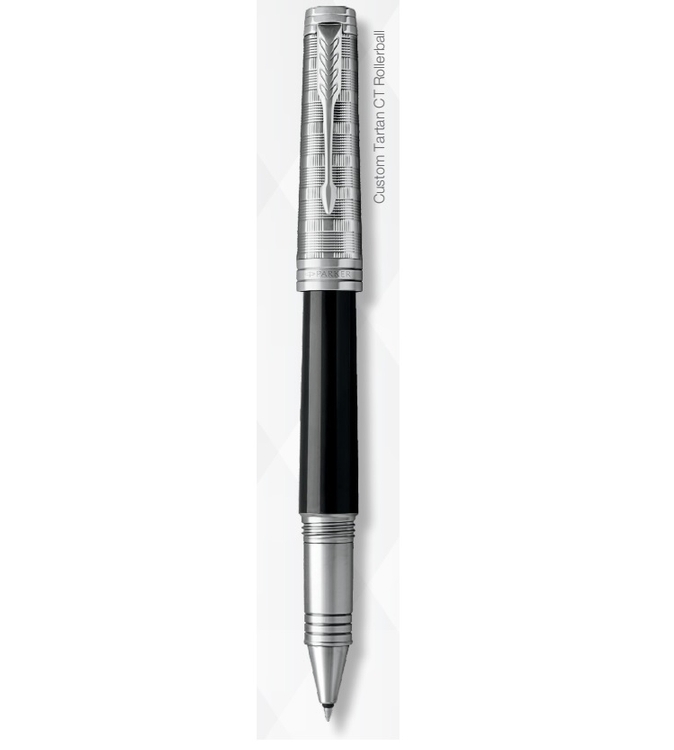 Parker Premier bridges years of heritage with a contemporary insight create a new, modern icon among fine pens. 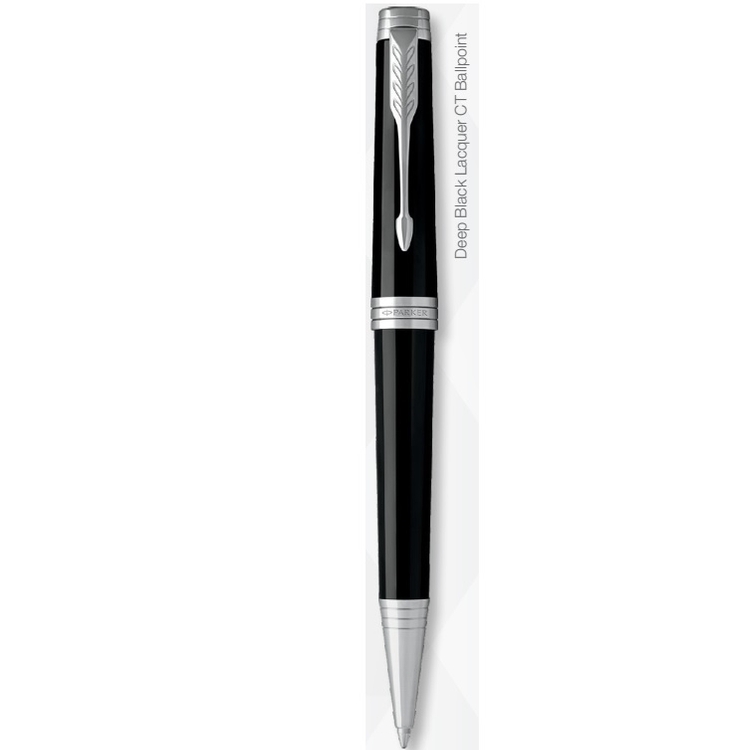 All Parker Premier pens come with black ink and are refillable. Customization on the Premier includes imprinting or engraving on the side of the cap. 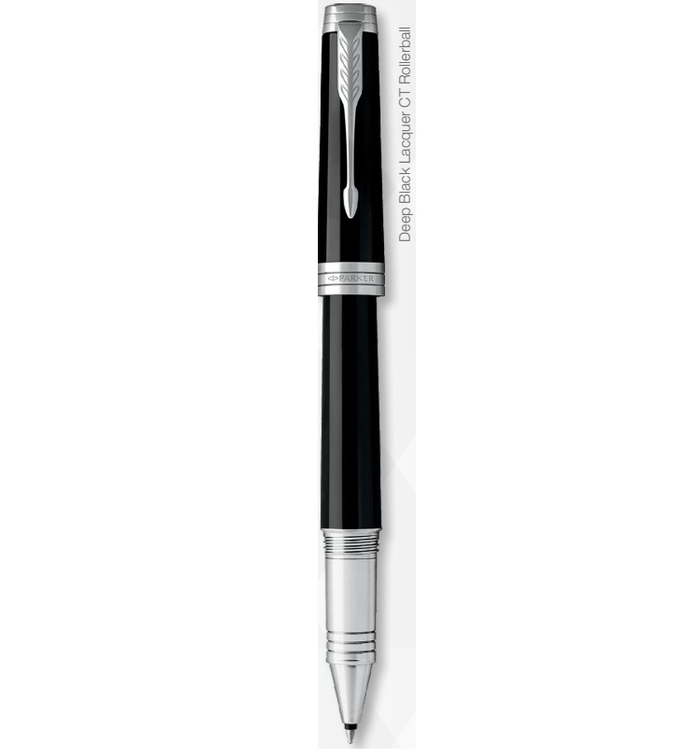 The new Parker IM... redefining affordable luxury in writing instruments. The Parker IM's modern design and 6 timeless finishes successfully meld the classic with the contemporary. The finest grades of lustrous lacquer and chrome, and a highly engineered manufacturing process, ensure the Parker quality known worldwide. 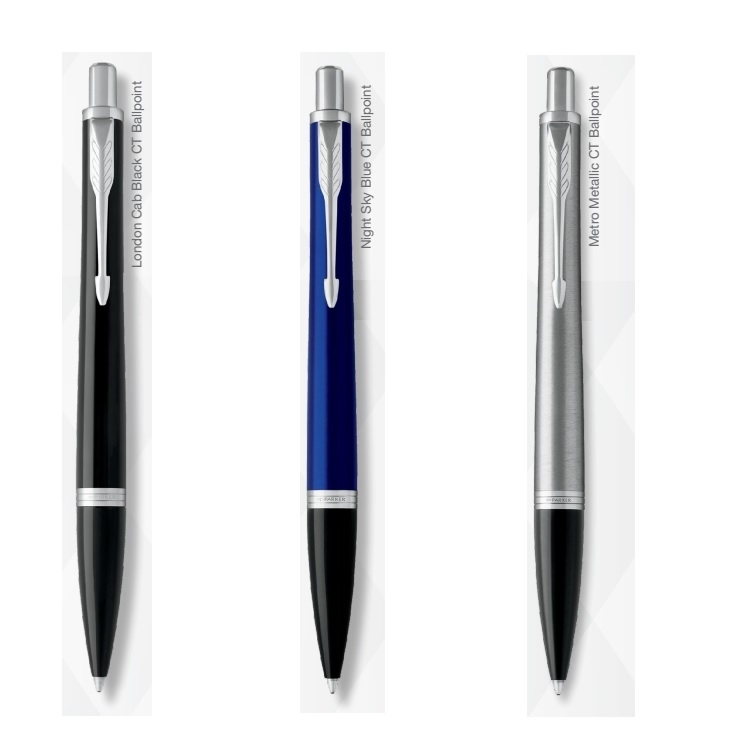 Attention to detail and an array of striking finishes make the Parker IM the ultimate affordable luxury pen. 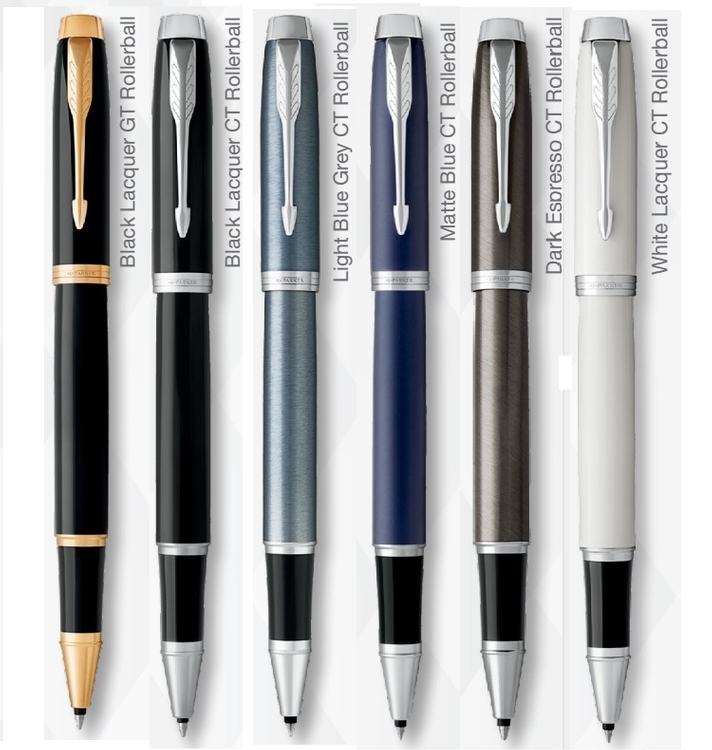 The Parker® IM...redefining affordable luxury in writing instruments. The Parker IM's modern design and 6 timeless finishes successfully meld the classic with the contemporary. The finest grades of lustrous lacquer and chrome, and a highly engineered manufacturing process, ensure the Parker quality known worldwide. 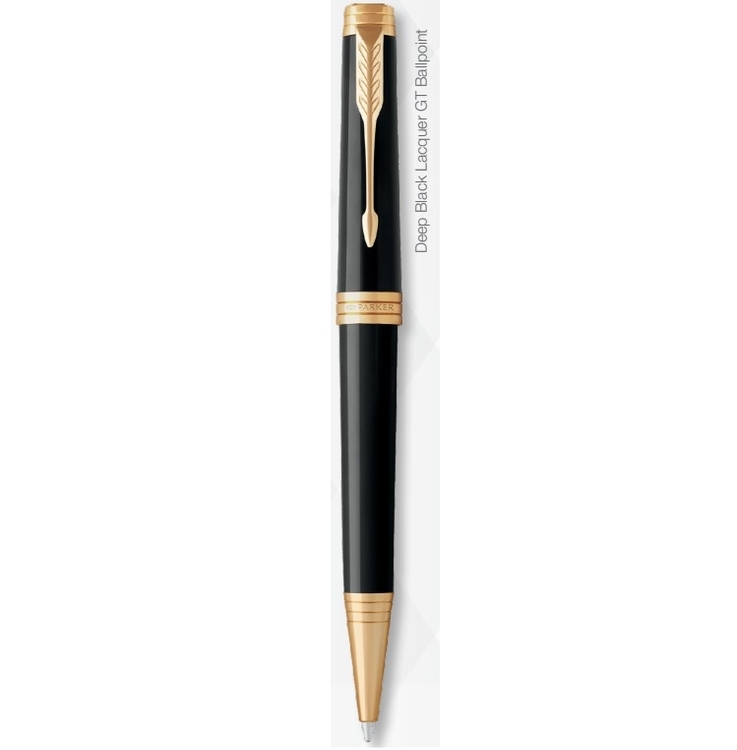 Attention to detail and an array of striking finishes make the Parker IM the ultimate affordable luxury pen. 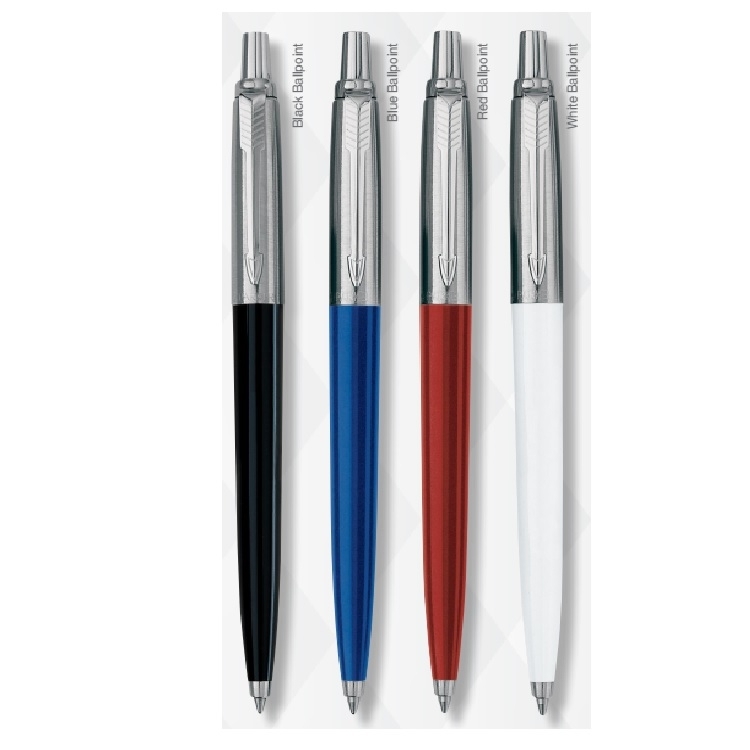 Available in roller ball and ball pen. Roller ball is fitted with black ink, medium point refill. 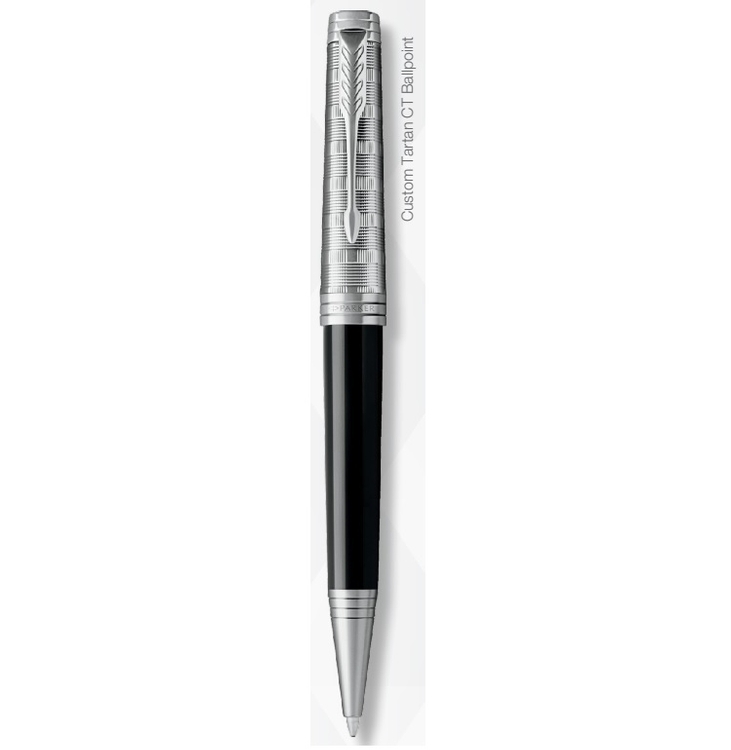 Ball pen is fitted with black ink, medium point refill. Chrome or gold plated clip and trim. 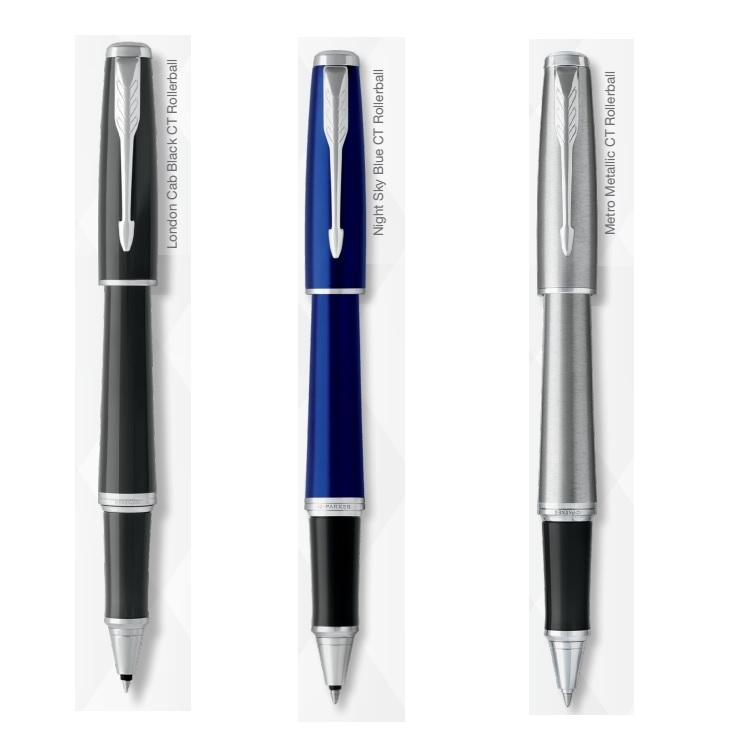 Customization available on Parker IM includes engraving and imprinting on the cap(rollerball) or barrel(ballpoint). The Parker Urban . . . Distinctive style with remarkable performance. The eye-catching Urban takes over a century of Parker tradition into dynamic new territory. With its inimitable curved design and range of finishes, it was crafted to compliment personal style and elevate the confidence behind every word. Chrome plated trim.